That bed of Tristars? 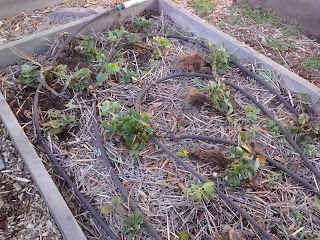 I had hoped to gently clip off runners to populate another bed (who doesn't want double the strawberries?) and I kept waiting for runners. Nope, no runners. And yet, that bed. . . it was looking kind of, kind of. . . dense. (Sorry about the crappy picture -- using a phone). What is going on underground? A lift with a digging fork revealed --- aiiieeee! It's the Great Lumping Mass. 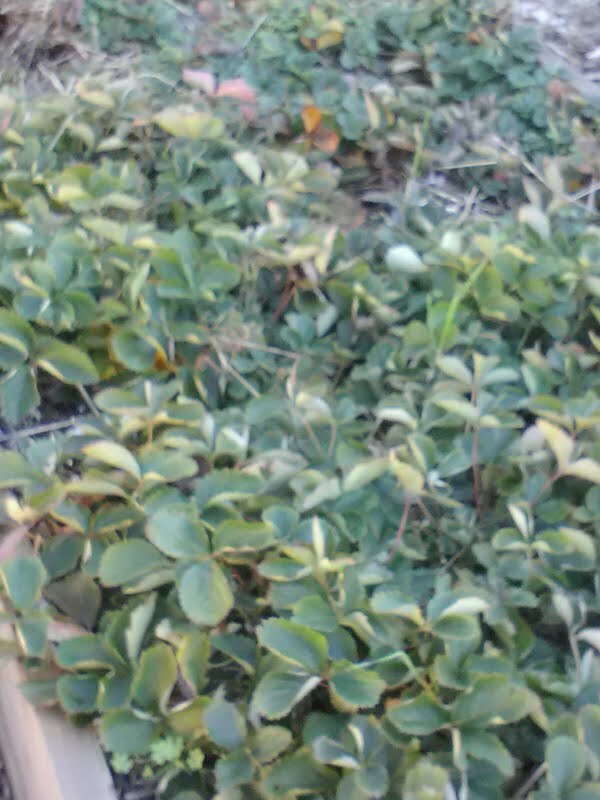 These plants have multiplied. When I began, each berry plant was a teensy slip of a thing. 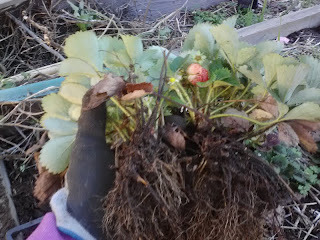 If I shake enough dirt off of the mass of clumpiness, it's easier to divide the soon-to-be separate strawberry plants. Notice those berries? 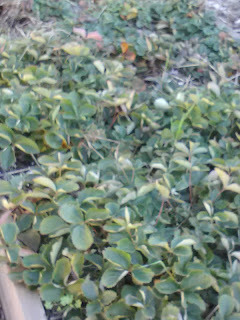 This variety is still pumping out flowers and berries, some of them quite large. Unfortunately, they taste like watered-down strawberry jell-o, so no joy there. I still give them points for trying. It didn't take long to fill up another bed, on a three/two pattern. 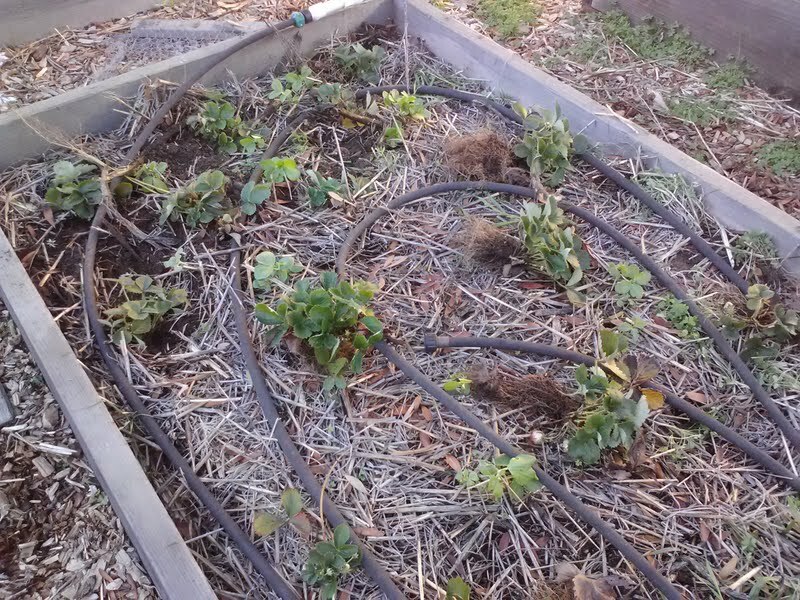 Then I looked back at the original bed, and between a third and a half of it was still very thick with berry plants. So I eyed another bed in the garden. 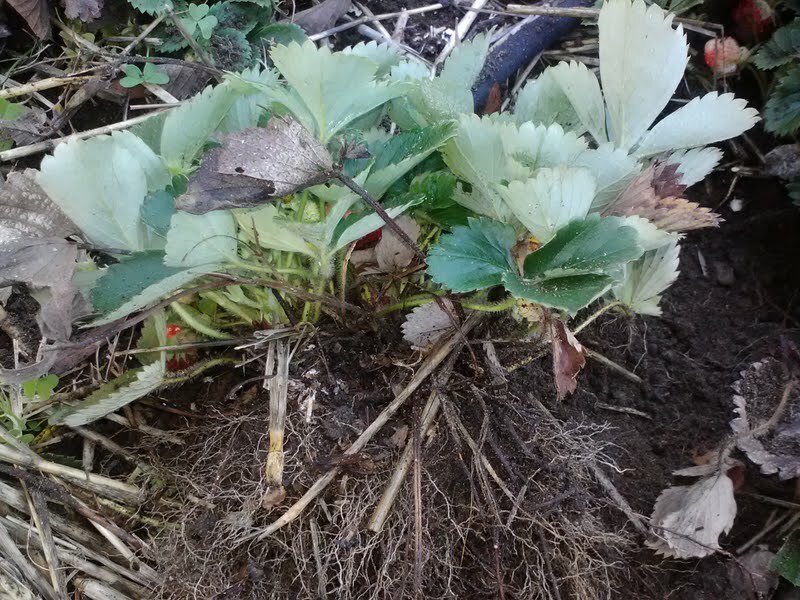 Dig, lift, shake, separate, and it, too, will hopefully produce luscious berries in the spring. Alas, however, there were many, many, many more berries left to go. I got into a rhythm, flinging separated berries into a cardboard box until the bed was nearly all thinned and I was tired. And then I turned to the local gardening lists and found homes for all of them. Go forth and grow, little berries! I even had enough left in the bed to provide a friend with berry plants days later. Someone is going to get a strawberry cream cake for her birthday next year!